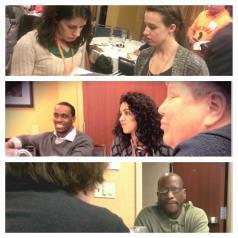 In total, 100 advocates had meetings with 150 representatives and their staff members. 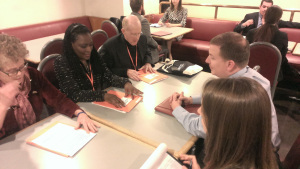 Advocates shared their stories with Congressmen and pushed for legislation protecting kidney patients and donors. Advocates also talked about kidney disease awareness, immuno drug coverage, research, organ donation & more. Among the 100 kidney patients, donors, and family members participating in the 2015 Kidney Patient Summit, many of the advocates have also been involved with the Kidney Walk. These walkers/advocates include Madi, an 18 year old kidney recipient who has been invited to speak at the upcoming Denver Walk; Jim, who has been involved with the Indiana Kidney Walk; Cody and Maggie, top fundraisers for the 2014 Iowa Walk; Dwayne aka Rusty, a CKD patient and top fundraiser at the South Carolina Kidney walk for the past 5 years; Shannon & Robert, from the NKF Florida office; and Jennifer, a living donor in New Mexico who is working on setting up a Kidney Walk in her area. Thanks to all our advocates for making the 2015 Kidney Patient Summit a huge success! 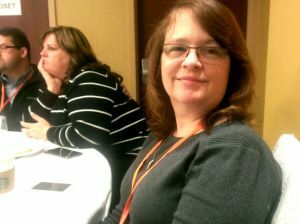 2015 Kidney Patient Summit – Day 1, Washington, D.C.
We’re live blogging for the 2015 Kidney Patient Summit in Washington D.C. Check back for regular updates! Sarah Finlayson, from Peabody, MA, has dealt with kidney disease for 45 years. After being diagnosed at two years old, she was one of the first people in the United States to undergo peritoneal dialysis. She has since had two kidney transplants and continues to share her story with other patients as a peer mentor for the National Kidney Foundation. A few months past my second birthday, I was diagnosed with Focal Glomerulosclerosis a rare kidney disease with no cure. This was over 45 years ago, in a time when child kidney transplants and peritoneal dialysis were merely theoretical. While most kids are riding bikes, I began a daily regimen of hemodialysis. For over 45 years, I’ve battled kidney disease and cancer. I’ve been on hemodialysis, peritoneal dialysis and have received and lost a transplant. My story has a great ending. I received a second, successful kidney transplant from my younger sister in 2005 and I have been healthy since that day. I have been through a lot, but I want to let your readers know that there is hope and there are actions they can take to support those with kidney disease and organ transplants. On March 2-3 I will be traveling to Washington D.C. to speak to representatives as part of the National Kidney Foundation’s Kidney Patient Summit. 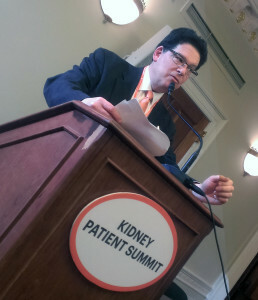 I will be urging legislators to fund research, protect kidney patients and raise awareness of kidney disease. 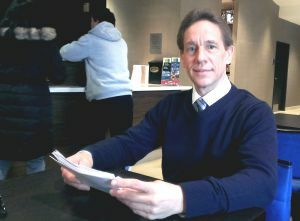 I hope your readers will support my trip by signing a petition at www.kidney.org/takeaction. Through the research, education, hard work and most importantly – community – we can ensure a better future for kidney patients and organ recipients. By spreading this message we can also let others know, they don’t have to go through this journey alone. 4pm EST – What You Can Do, Today! Improve early diagnosis and management of kidney disease. Ask your representatives to include a provision in the draft 21st Century Cures Bill to address 21st Century Chronic Diseases that specifically directs the Secretary of Health and Human Services to conduct a study on diagnosis, progression and outcomes in Chronic Kidney Disease (CKD). This will help our nation’s healthcare professionals identify, monitor and treat kidney disease. Ask for an increase in funding for the National Institute for Diabetes and Digestive and Kidney Diseases(NIDDK). Contact your representative on the House and Senate Appropriations Committees and ensure funding for kidney disease research at the NIDDK is increased by 6% over the President’s proposed budget. Strengthen the Medicare ESRD program for kidney patients! Ask your representative to support: a) The Chronic Kidney Disease Improvement in Research and Treatment Act (S. 538/HR 1130) to allow dialysis patients the choice to enroll in Medicare Advantage, which has caps on the amount we can be required to pay out of our own pockets for medical care. b) Extend Medicare coverage of immunosuppressive drugs for the life of the kidney transplant. Currently, Medicare coverage ends 36 months post transplant for those under age 65. Help protect living donors by asking your representative to cosponsor the Living Donor Protection Act when it is reintroduced by Representative Nadler (D-NY) this year. This bill will prohibit insurance companies from discrimination against living donors and will extend employment protection to living donors under the Family Medical Leave Act. Tonya Saffer, Senior Health Policy Director, talks about the key issues for advocates to address at the Kidney Patient Summit. 3pm EST – Why We’re in D.C.
Donors, recipients, kidney patients and their family members are in D.C. to urge legislators to fund research, protect kidney patients and raise awareness of kidney disease. Why is this important? According to new research, reported in this Washington Post story today, experts are predicting that half of U.S. adults could get kidney disease in their lifetime. Kidney disease is an urgent problem our leaders need to address! You can be part of the solution by signing up to join our advocacy network. Garding registered to be an undirected altruistic donor, and gave a kidney to a 28-year-old man from Wisconsin. “It was the most rewarding and educational experience I have ever had,” he said. The man who received the kidney told Garding after the donation that he had been sick his whole life, and finally knew what it was like to feel well. 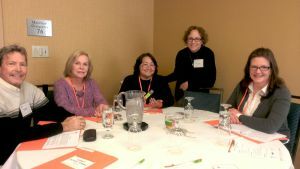 Now Garding is actively involved with the National Kidney Foundation, spreading awareness of kidneys and kidney disease by giving Your Kidneys and You presentations, and becoming an advocate at the 2015 Kidney Patient Summit. 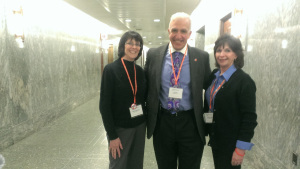 2015 Kidney Patient Summit – Day 2, Washington, D.C. 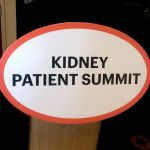 Welcome back to the live blog for the 2015 Kidney Patient Summit in Washington D.C. Read all about Day 1 here and check back for regular updates! 8:30pm – That’s a Wrap, Here are our Highlights! “My highlight was our very last meeting with Sen. Chuck Grassley of Iowa. He actually came in and spoke face-to-face with our advocates. Afterward, Grassley’s health policy advisor told the advocates how important their work was and encouraged them to keep talking about the issues they believed in. It meant so much to hear that our advocates were inspiring their representatives. “We had a few minutes with congresswomen Susan Brooks of Indiana’s 5th District. She spent about five minutes with us and asked informed questions about kidney disease. 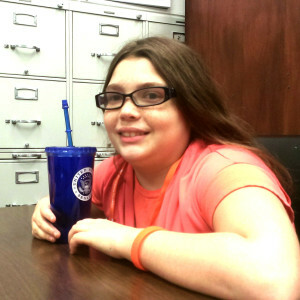 She also spoke with one of our young advocates about being a pediatric kidney patient. She seemed really interested in the issues. The Congresswoman is on a health committee with the House of Representatives, so there are exciting opportunities to work with her going forward. Dr. Griffin Rodgers, Director of the National Institute of Diabetes and Digestive and Kidney Diseases (NIDDK) is the keynote speaker at the Congressional Reception. You can view his PowerPoint presentation about kidney disease in the United States and the work of the NIDDK by clicking this link. After a long day of congressional meetings, the 2015 advocates are settling in for the 2015 Kidney Patient Summit Congressional Reception. Bruce Skyer, CEO of the National Kidney Foundation, kicked off the reception with a warm welcome to the advocates and government representatives in attendance. Jummy Olabanji, an anchor at ABC7 in D.C., is the master of ceremonies. She found out she had a genetic kidney disease after going to the doctor for high blood pressure. She’s also doing something about it — she changed her diet and has started running to keep her kidney disease in check. Kevin Longino, who chairs the National Kid ney Foundation’s advocacy committee, has a family history of kidney disease. Even knowing this, he was living a life with “too much coffee, too much protein and 60-80 hours of work a week”. Drew: “I’m a kidney patient. I was diagnosed with Alport Syndrome at the age of 6. I was getting medication and feeling better, but I went into kidney failure. Now I’m 11, almost 12, and I am on PD dialysis. Q: How is it being young and on dialysis? Drew: It’s hard, but as long as you do what the doctors tell you you’ll be fine! I can’t swim in rivers, lakes or oceans, but I can do pretty much everything else. Q: What are you advocating for? Drew: Kidney disease is very important issue and it affects many people. We want more funding for kidney disease research. Many doctors don’t know about Alport Syndrome, there is a lot of research that needs to be done still. 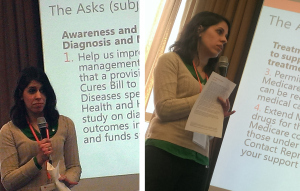 Q: How is it participating in the 2015 Kidney Patient Summit? Drew: It’s pretty fun! I’m here with the Alport Syndrome Foundation. We went around and got to talk with a bunch of different people and after lunch we got a tour of the Capitol! I think it’s really cool, because not only was I able to come here and see sites, but I am able to be heard by very important people who represent my state. 3:30pm – Rescheduling Dialysis to Participate in D.C. 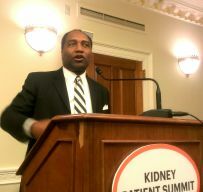 Nothing will keep Curtis Cotton, of New York, NY, from participating in the 2015 Kidney Patient Summit. Curtis has been on in-center dialysis since his kidneys failed due to high blood pressure in 2001. 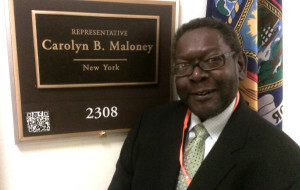 Today he is supposed to be on dialysis, but he is missing his regular treatment schedule to participate in Capitol Hill meetings with his local representatives. 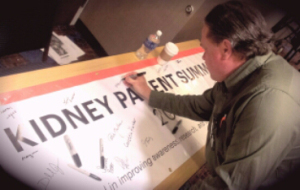 The 2015 Kidney Patient Summit has exposed Curtis to a world of new ideas and people. He has met his first living kidney donor, and countless other who have different kidney diseases and causes. 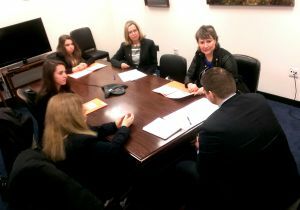 Shar Carlyle of California and Haley Newkirk, Madison Ferner, Stacy Ferner and Sally Reif of Colorado met with Curtis Swager, Legislative Director for Cory Gardner of Colorado. This has been an eye-opening experience for Madison Ferner, 18 (in photo, top left, head of table). Madison has FSGS, she has undergone every type of dialysis and has received two kidney transplants. Suzanne donated a kidney to her sister JoAnn. They met with Katie Talento, Legislative Director for Senator Thom Tillis of North Carolina. They discussed immunosuppressive medication coverage under Medicare. 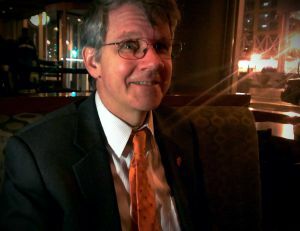 “Katie agreed with us that 36-month coverage for immunosuppressant medications under Medicare was archaic, and didn’t make financial sense when you realize the cost of having to put someone back on dialysis if they lose their transplant” said Bill Ruff. For JoAnn, it was an emotional moment asking for Senator Tillis’ support. “I was crying with Katie, because I am so passionate about extending coverage of immunosuppressive drugs,” she said. “If I stopped taking these medications, I would undo what Suzanne did, and she saved my life. 9am – 10-Year Kidney-versary on Capitol Hill! On March 2, 2005, Shar Carlyle received a kidney from Sally Reif. At the 2015 Kidney Patient Summit, they are celebrating the tenth anniversary of their transplant procedure. The pair met in a way that was new and unusual ten years ago — online. Shar had originally posted her profile on the newly created website Matching Donors, which attracted Sally’s attention for a school project. At the time, finding donors over the internet was rare, and many hospitals had policies against performing transplants on people who had met online. Nevertheless, the pair proceeded with the transplant. Both are healthy and well today. 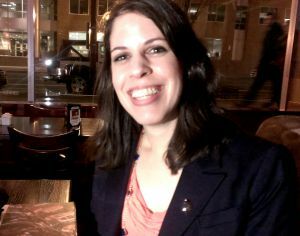 You can read more about Shar’s journey in this Mercury News article, and you can read about Sally’s decision to be a living donor in this Summit Daily article. Shar describes herself as a “crunchy liberal”, while Sally would do just about anything to “get a Republican vote”. They are a testament that kidney issues transcend political lines and are living proof that friendships are stronger than politics. “It’s something we can come together on. We are united to help kidney patients and improve quality of care and access to medications,” Shar said. Both have done their part to advance the kidney cause. 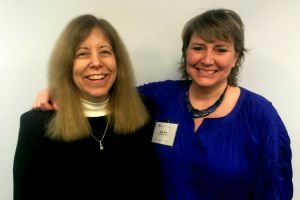 Sally has helped convince others to be living donors, while Shar volunteers for the PKD Foundation and NKF. She also conducts an educational program about kidneys and organ donation in under-served communities. “She’s really using my kidney well,” Sally said. It’s going to be a big day on Capitol Hill. Advocates are getting ready, signing banners, finalizing meetings, and drinking plenty of coffee for the 12+ hour day ahead.